Red panda on a tree branch. Ailurus fulgens possesses an enlarged wrist bone on both front paws. This adaptation allows the red panda to grip bamboo trees tightly. Their large, bushy tail is used as a pillow. It also aids it with keeping heat in and balancing on branches. 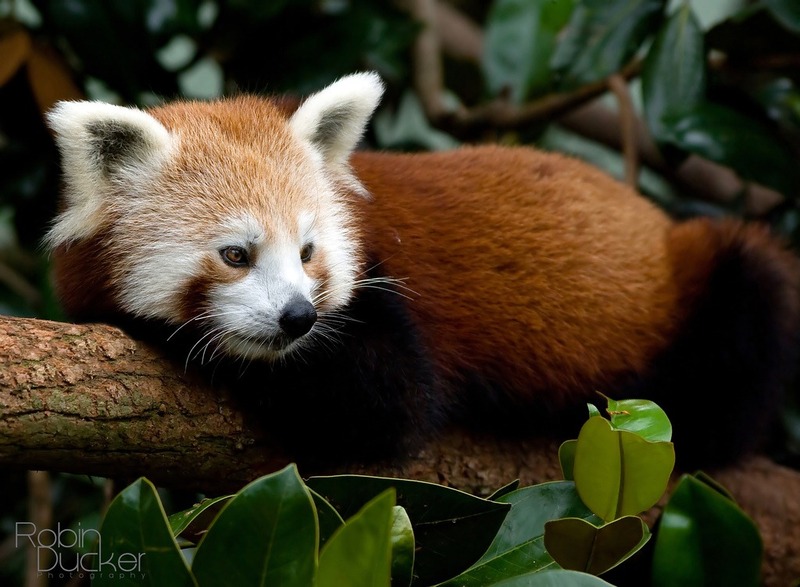 Since the red panda eats at night, not as many animals are out. This lets them eat in peace without being attacked by surprise.